What is so significant about week 11? If you were pregnant with a new baby boy or girl, at 11 weeks, according to Baby Center, your baby's "hands will soon open and close into fists, tiny tooth buds are beginning to appear under her gums, and some of her bones are beginning to harden, thanks to baby center for that baby fact. Every week I like to share new content raising our awareness to each passing week while bringing some motivation and inspiration your way every week. However, with every piece, I am being your accountability partner beyond being an Inspirational Speaker. Each new week, affords us new opportunities for growth, feedback and taking on our goals from a higher pedestal. 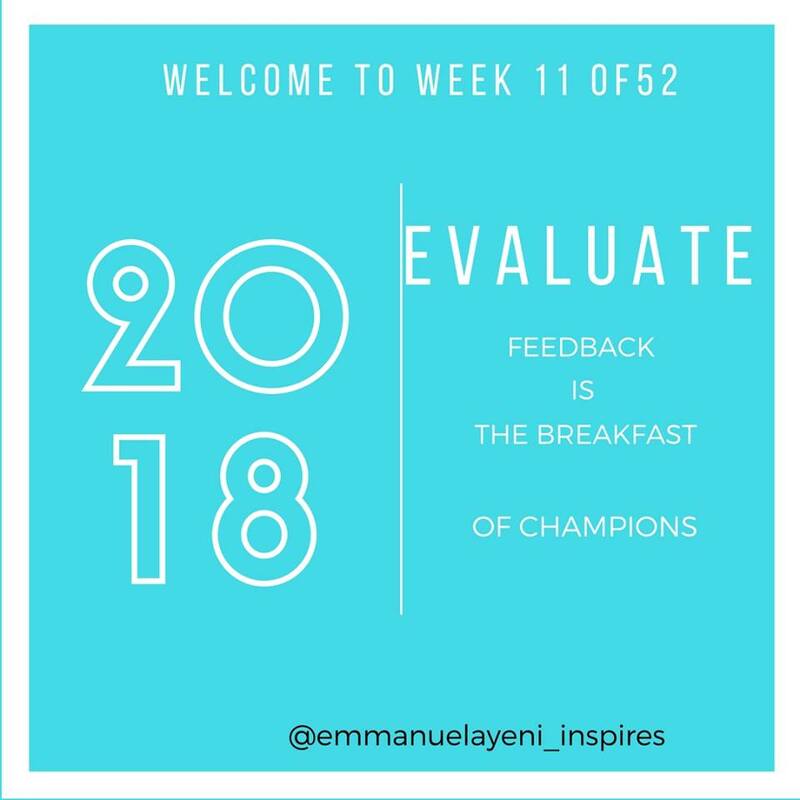 Feedback has always been noted to be the breakfast of champions and the only way we get that is through evaluation. 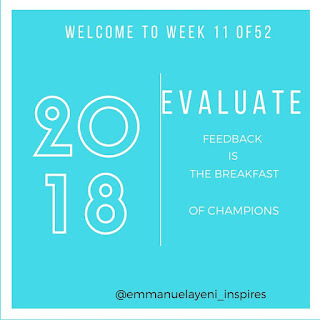 Evaluation is a vital key to growth, positive change and development, when we evaluate our goals in the light of what works and what is not working, we come into a better place from where we can make necessary changes that further launch us forward. And send *Fullname*Email address to +2347033875827 and your book will be sent to your email. PSS: There is never a better time to invest in your Financial Freedom than now. To join the next edition click the link in bio to enter the information room. 👈 Free copy of my Money Magnet Report: 10 Ways To Become a Money Magnet. PSS. The $39 Seminar cost can also be made in other currencies or cryptocurrency.